The festive season brings joy, happiness and laughter to our homes. Unfortunately, it can also bring in dirt, mud and spilt wine. 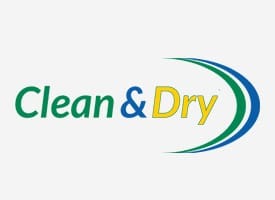 Keeping your carpets clean and tiled surfaces sparkling can be hard work in the winter months – but it isn’t impossible. Read on for our top tips for clean carpets this winter. One of the easiest ways to keep the outdoors out of your home is to pick up some good, sturdy mats. You’ll need an outdoor mat to keep by your front door, encouraging guests and family member to wipe any loose snow, dirt or mud off their shoes before even coming through the door. You may also want to consider adding another in the entrance, for people to stand on while they remove their shoes. Following on nicely from welcome mats is a no shoe policy inside your home. This is a great habit to get into all year round, but becomes even more important during the winter months when the ground becomes wet and muddy. Add a basket or rack by the front door to encourage children, family members and visitors to remove their shoes before coming further into your house. However much cleaning and preparation you do for the winter season, accidents will still inevitably happen. Wine can be spilt, chocolate dropped, and pets can make messes. But if you’re prepared, these accidents don’t have to turn into permanent stains. Put together a go-to kit of cleaning supplies, including all the essential items like cloths, sponges and cleaning solutions. This will help you tackle those stains as soon as they are made, preventing them from settling and becoming rooted in your carpets. You’ve probably already noticed that the vacuum gets a lot more action during the winter. Dirt, mud, snow and general festivities make your carpet much more susceptible to marks and damage. With that in mind, it’s important to make sure your carpets are being treated to a quick hoover every few days. This way, you can keep on top of any dirt, grime or pet hair that will otherwise build up and become engrained in the fibres. A quick mop over any tile and stone areas will also keep your home looking clean and fresh. Our carpet cleaning tips will prevent any major, long-lasting damage to your carpets through the winter. But for the best results, there’s no comparison to a professional deep clean. Even with the best DIY cleaning, dust and dirt will still accumulate within your carpet, which is why professional carpet cleaning is recommended twice a year. It’s the perfect way to prepare your home for festive visitors – or freshen up for the new year once they’ve left.